At the beginning of June, my mom came to spend a week with us. I had a lot of fun showing her around the Fairbanks area. We saw FOUR moose in a week! I think that is a record. 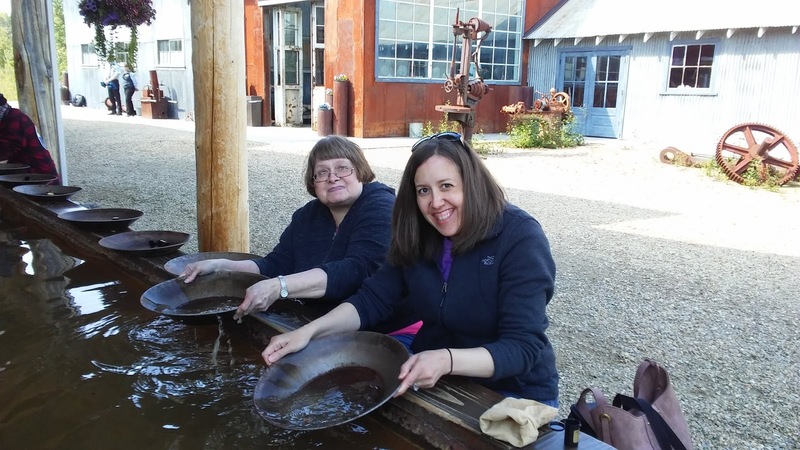 We enjoyed panning for gold, taking a riverboat cruise, visiting muskox and reindeer, and visiting Denali National Park. Unfortunately, it was cloudy the day we went to the park, so Denali was not visible. Despite the mountain not being visible, the park did not disappoint. We still had some amazing views of the surrounding mountains. And did I mention we saw some moose?